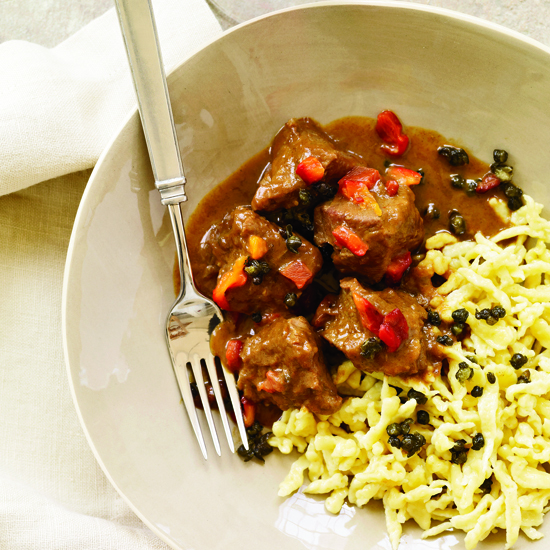 Winter comfort food is all about hearty casseroles and warming stews. 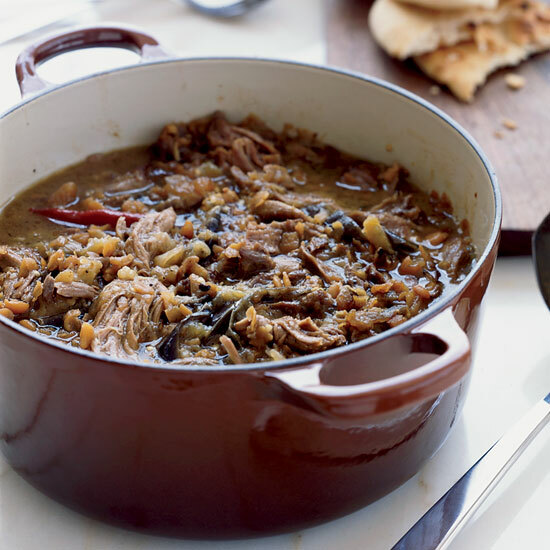 We love anything that gets slow-cooked, roasted or baked for maximum coziness. 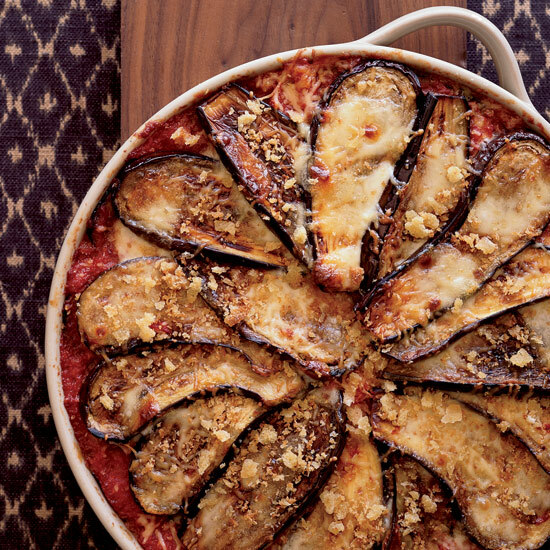 From gooey macaroni and cheese to perfect eggplant Parmesan, these comfort food recipes will keep you warm this winter. Here, our favorites. 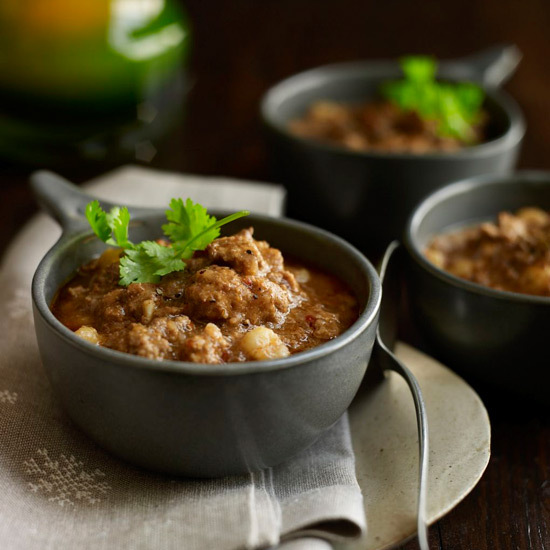 This North African–inspired cassoulet is chef Gavin Kaysen’s nod to all the different cultures in Minneapolis, where his restaurant, Spoon and Stable, is located. 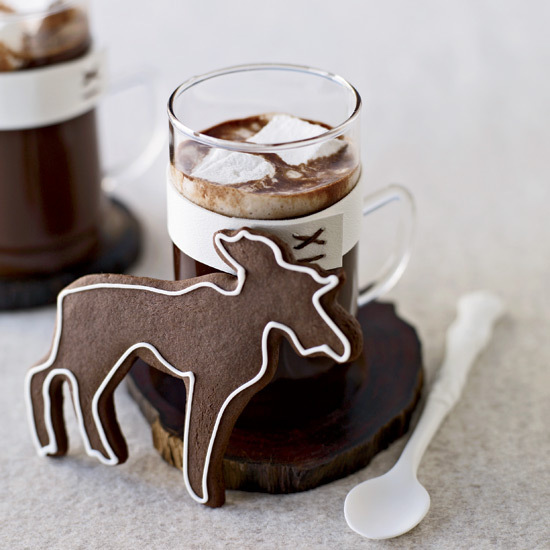 “I wanted to showcase new flavors, but in a familiar format,” says Kaysen. 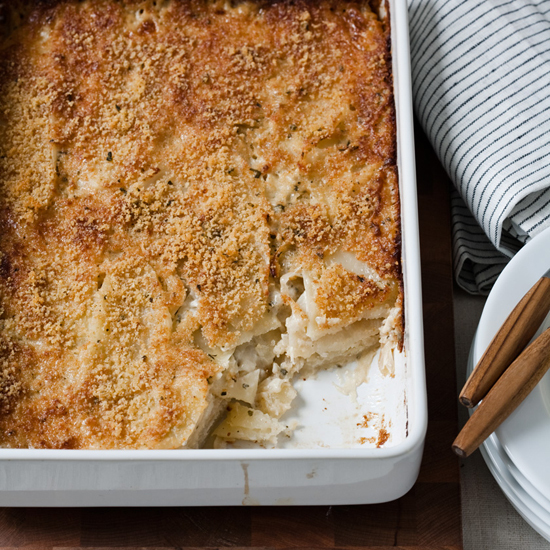 “I like seeing another culture’s view of comfort food.” This warming casserole is super easy, and your whole family will enjoy it all year long. Chef Gavin Kaysen of Spoon and Stable in Minneapolis updates this classic Minnesota flavor combo with fresh herbs, tender Swiss chard and an aromatic mushroom gravy. 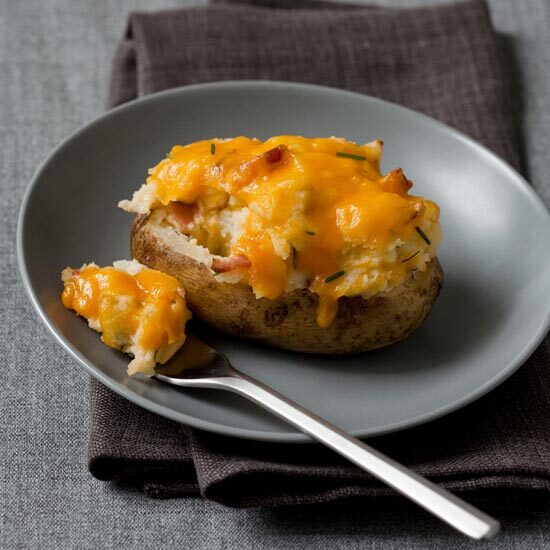 The dish is perfect for potlucks since it can be baked a day ahead. Chef Gavin Kaysen of Spoon and Stable in Minneapolis has a version of this incredibly decadent creamed spinach on his menu. Just how much do Minnesotans love cheese curds? 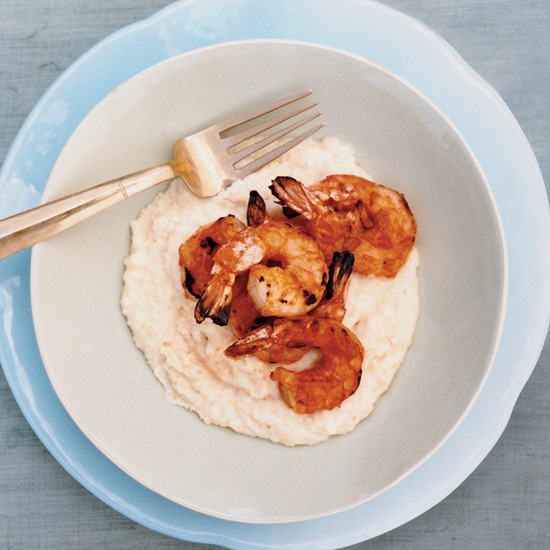 The restaurant sold 8,459 orders of the dish in its first 10 months. Chef Geoffrey Zakarian uses a stand mixer to make his perfectly fluffy gnocchi with ricotta cheese. This amazing chocolate babka from pastry chef Melissa Weller at Sadelle's in New York City gets extra flavor in the swirl from chocolate cookie crumbs. As a bonus, the tender-crumbed babka is topped with a thick and luscious chocolate glaze. Chef Gavin Kaysen of Spoon and Stable in Minneapolis created this hearty vegetarian dish, which features roasted root vegetables and a creamy parsnip puree, as a lighter alternative to the traditionally meat-heavy Minnesota casserole. This smoky, rich chili from F&W’s Justin Chapple is a simple one-pot dish. In this lovely, lighter-than-most beef stew, F&W’s Justin Chapple simmers chuck until it’s super tender before adding carrots, peas, spinach and dill. Fudgy cake, fluffy peanut butter filling and a chocolate ganache coating combine to form the perfect sweet indulgence from pastry chef Tiffany MacIsaac of DC’s Buttercream Bakeshop. 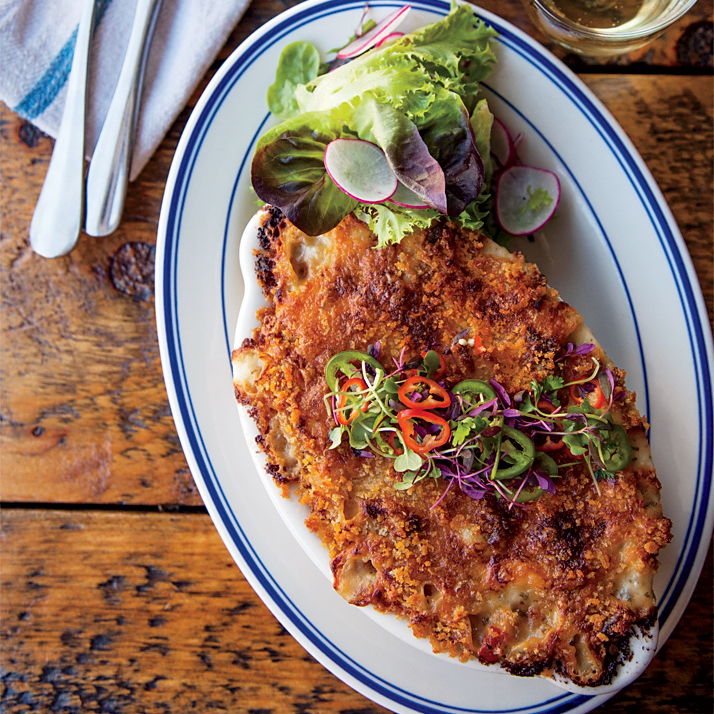 At The Heron, in Narrowsburg, New York, chef Paul Nanni grinds and smokes his own andouille sausage for supergenerous portions of Cajun-inspired macaroni and cheese. 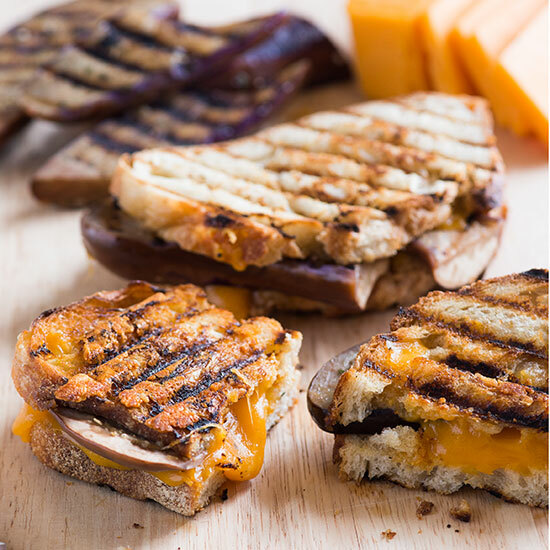 Add these flavorful grilled eggplants to make a great vegetarian grilled cheese sandwich. “I have a hard time getting excited by beef,” Kristin Kimball confesses. “Steak bores me, and roasts can come out dry. 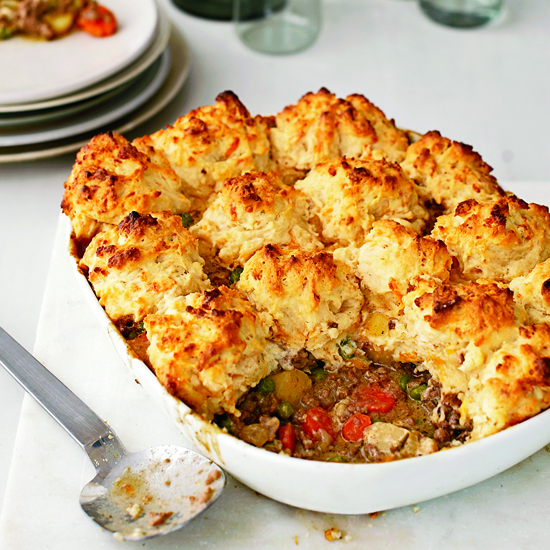 We do a lot of ground meat, and I get tired of coming up with new ideas for it.” This luscious potpie—with its buttery cheddar crust and filling mixed with parsnips, carrots and peas—would be a perfect addition to her repertoire. If these seem too large for you, then bake and mash only four (instead of the five used here), or use smaller potatoes. Spicy Italian sausage and broccoli rabe simmer in a flavorful tomato sauce. 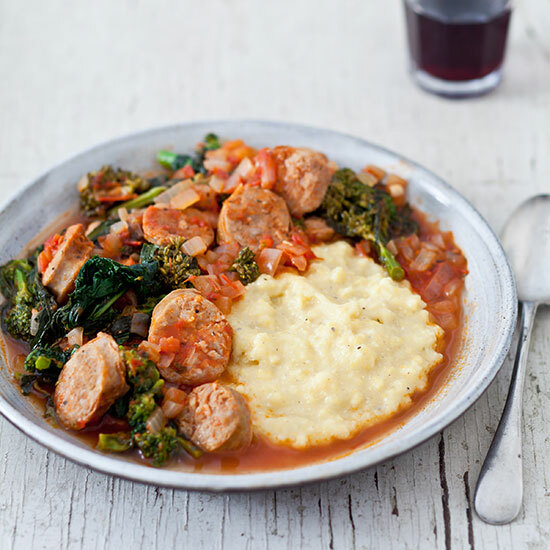 Served over a mound of creamy polenta, they make a ravishing, rustic Italian meal for a cold winter's night. If you like, pass grated Parmesan at the table. 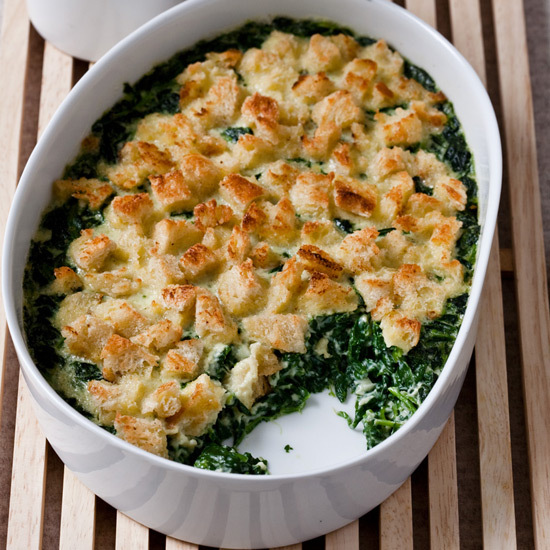 This bread pudding is almost like a tart, with the croutons acting as a crunchy crust. 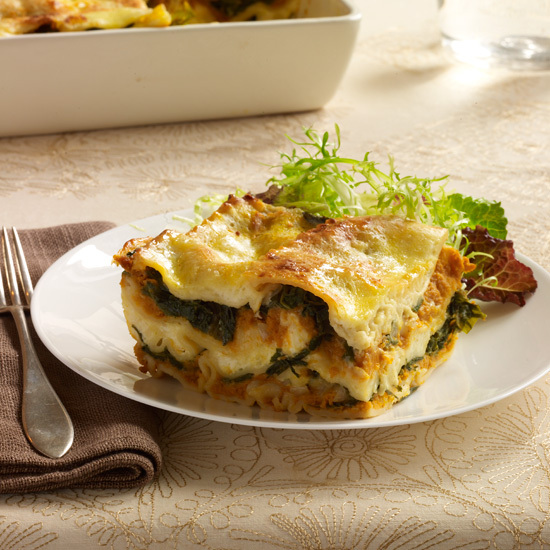 Tender baby spinach in the filling turns incredibly silky when cooked. 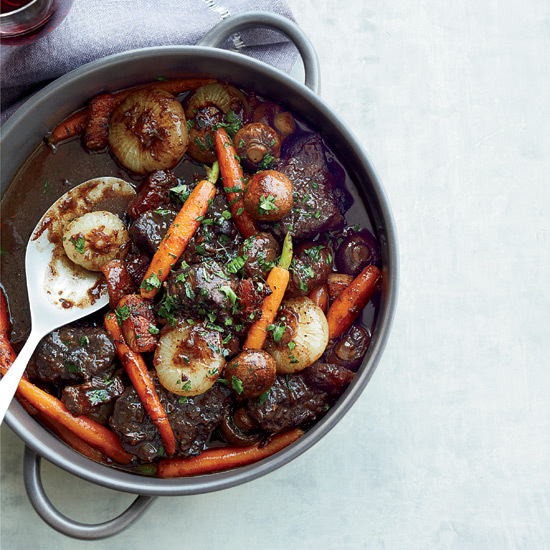 This rich, winey beef stew is always a hit with Jacques Pépin’s chef friends. Butcher Tom Mylan of Meat Hook in Brooklyn flavors his chili with three kinds of dried chiles: fruity guajillos, smoky anchos and a New Mexico chile. After he soaks the chiles in water to plump them, he blends them to form a silky puree, which gives the chili a complex flavor. Wisconsin produces very good versions of Asiago, the hard cheese with a slightly sharper flavor than Parmesan. Sandy D’Amato recommends the Stella brand. 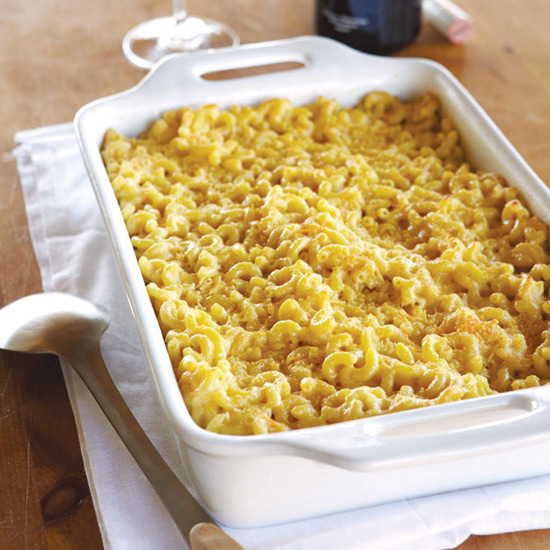 At the end of their wine-and-cheese parties, Helen Jane Hearn and Natalie Wassum gather any leftovers to make an incredible mac and cheese later in the week. At Seäsonal Restaurant and Weinbar, Wolfgang Ban makes his goulash with succulent veal cheeks; here he adapts the recipe for easier-to-find veal shoulder. The soft and sticky dough for these baking powder—boosted sweet buns—made without butter or oil—gets its richness from pureed cottage cheese. 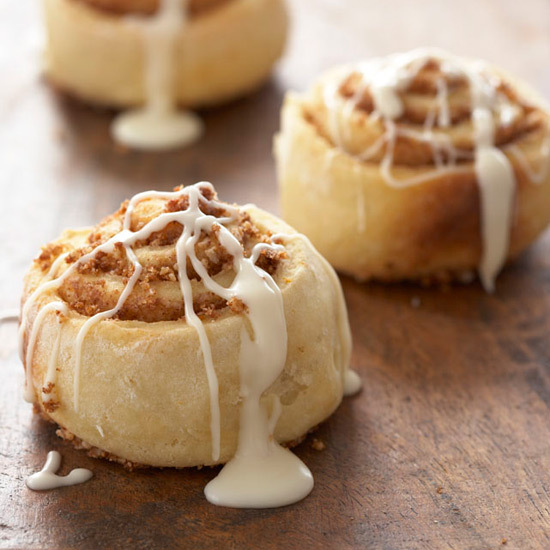 Don’t worry that the cut dough spirals look a little lost in the springform pan; as they bake, they rise and puff into a perfect round of pull-apart buns. 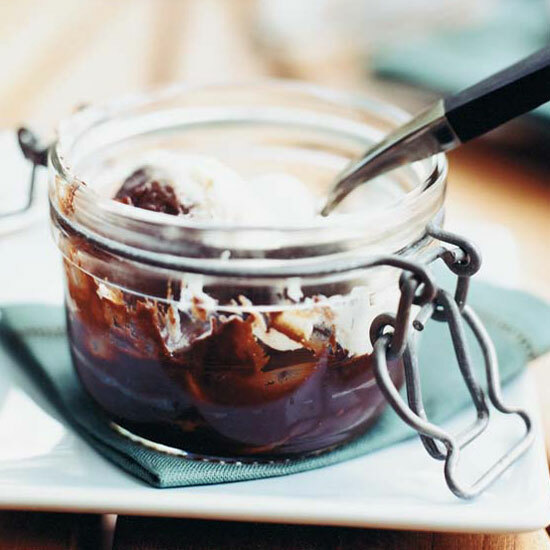 Matt Lewis is enamored of fondue—in fact, he had a special pot made for dessert fondues at his former Manhattan shop, Chocolate Bar. 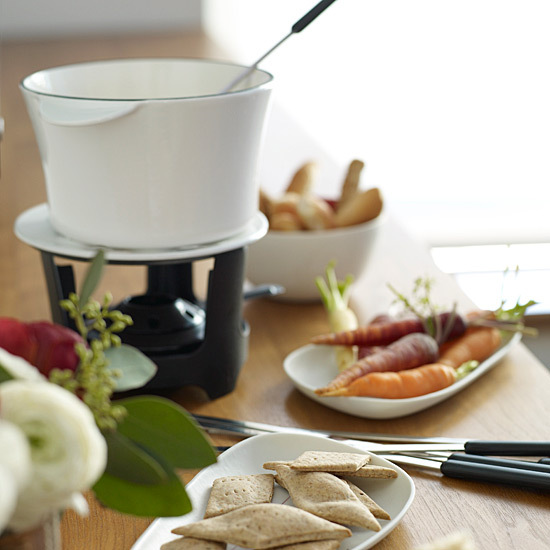 His terrific cheddar-Jack cheese fondue includes whiskey, which adds a great kick. This sweet and tangy Middle Eastern stew, with falling-apart-tender lamb, is one of wordsmith (and perfect party host) Jesse Sheidlower’s favorites.